looks as if a lot of the brassicas have flowered or gone to seed as they say. They wont be fit to eat now sadly. 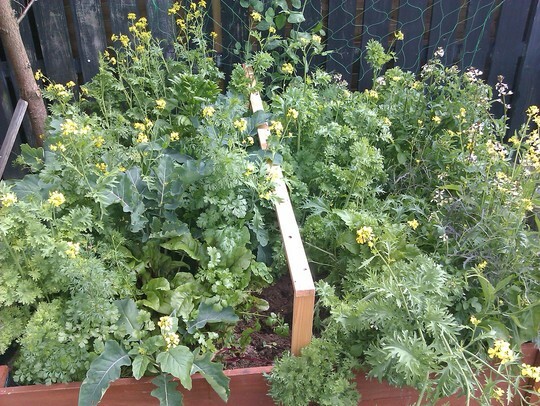 You need to grow your brassica plants further apart next year and are those carrots or parsley in with them? Carrots need a very thin/lean soil whilst brassicas need a good well manured soil. why do cauloflower plants go to seed before they are fully grown? What happened to my sprouts?